Dr. Jeanne Salyer knew she wanted a career in nursing from the time she was five years old and played nurse with her grandfather. Now an expert in cardiovascular and pulmonary nursing, Dr. Salyer began her career at the University of Alabama with a diploma in nursing, a Bachelor of Science in Nursing, and a Master of Science in medical-surgical nursing. She went on to earn a PhD in nursing at Virginia Commonwealth University. In addition, Dr. Salyer completed postdoctoral training in outcomes research at the University of Minnesota. She attributes her success to the importance her family placed on getting a great education. 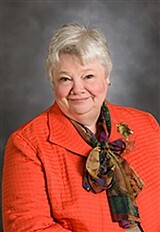 During her distinguished career, Dr. Salyer held numerous positions at the School of Nursing at Virginia Commonwealth University, including interim chair of adult health and nursing systems, project codirector of outcomes research in nursing administration, and assistant professor in the Department of Adult Health and Nursing Systems, where she is presently an associate professor. In that role, Dr. Salyer teaches standards of professional practice and performance. She works with doctoral students to help them with their critical thinking and collaborations with their advisors, and assists with the curriculum. Dr. Salyer garnered additional experience as a research nurse in the heart failure/heart transplant program in the division of cardiology at the Medical College of Virginia at Virginia Commonwealth University, where she also was a unit coordinator and pulmonary clinical nurse specialist. Furthermore, Dr. Salyer was an instructor in the critical care staff development program at Jackson Memorial Medical Center at the University of Miami in Florida, and a pulmonary critical nurse specialist in the Department of Nursing at the University of Alabama Hospitals. Prior to receiving her doctorate, she worked as a consultant for the central region of the Virginia State Health Department, learning what resources patients need to stay at home and about the mission of the U.S. Public Health Department. Among her many achievements, Dr. Salyer says the one that was most meaningful was when she worked as a pulmonary clinical nurse specialist on a team that developed a home ventilator program for patients who required ventilator support. As associate professor, her research program focuses on patients with end-stage heart failure. She is currently working on investigations of symptom clusters in patients with advanced heart failure. To stay abreast of developments in her field, Dr. Salyer is a member of the Council on Cardiovascular and Stroke Nursing of the American Heart Association, the National Academies of Practice in Nursing, and the American Society of Transplantation. Other prestigious memberships include the Council on Nursing, Health Sciences and Allied Health and the International Society for Heart and Lung Transplantation. Dr. Salyer has received numerous awards and honors for her achievements in her field, including the Distinguished Teaching Award from Virginia Commonwealth University, the Virginia March of Dimes Nurse of the Year Award for Nursing Education and Research, the New Investigator Award from the Virginia Commonwealth University School of Nursing, and the Nursing Research Award from the International Society for Heart & Lung Transplantation. She has also earned several research awards from the Gamma Omega Chapter of Sigma Theta Tau International, and was named a Distinguished Scholar by the National Academies of Practice in Nursing. Additionally, Dr. Salyer was the two-time recipient of the A.D. Williams Research Award, among a variety of other grants.